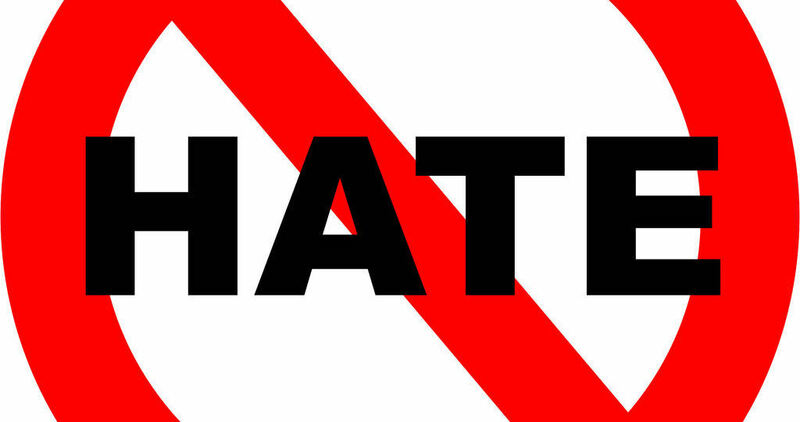 God hates racism, and He hates all those who worship at the alter of the Neo-Naziism and White-Supremacy. To the one who disbelieves the fact that God “hates” the white-supremacist because they are inclined to agree with some or most of their logic, let me call you to repent from such an evil. I had the displeasure of watching an episode of Vice, which is an HBO news crew that were interviewing the organizers of the Neo-Nazi group that went to Charlottesville to “protest” the removal of the statue of Robert E. Lee. The man in charge said that the reason they came was to be a show of force. He came strapped with two AR-15’s, several concealed handguns, and a knife as he quipped. Before the deadly encounter, they threatened violence. After the car ran through the crowed, he called the act justified and that he’s looking forward to topping this rally at the next one. This was the largest assembly of white-supremacists in 4 decades and they are planning more. Let me be very, very clear. I believe in the right to keep and bear arms. I have a concealed weapon’s permit, and I carry when it’s lawful to do so. I believe that AR-15’s are a perfectly fine rifle to own and there is absolutely NOTHING wrong with owning as many as you want to own. I believe in the right to free speech, which I’m exercising right now. What I find truly heinous is the use of these freedoms to boast concerning the great job that “his people” (speaking of white people, which I refuse to be lumped into his category) did to begin their “ethnic cleansing” so as to gain an “ethno-state”. If you disagree with the fact that God hates those who worship at the altar of white-supremacy, because you find that ideology in any way appealing or defendable; then the fact remains for you that God’s hatred is residing upon you as well. True Christianity CANNOT and MUST NOT permit such evil and hatred to be even named among the brethren. So repent and turn from your hatred and you’re elevation of one color over another. Turn from your hatred and malice and trust in Jesus for your forgiveness. Again there are a total of four sides to this discussion. Those who disagree with my statement above and those who agree are both broken into two separate categories. One of those who might agree, would be one who understands what the Bible says about the character and nature of God in the depths of His attributes. These are the ones who understand that God reserves His unconditional love for those whom He foreknew and predestined to be conformed to the image of His Son Jesus the Christ. Those who worship at this evil altar, even if they profess faith in Christ, are no different than the one who steals, fornicates, lies, blasphemes. For the truth of the Word of God has said it best, “Or do you not know that the unrighteous will not inherit the kingdom of God? Do not be deceived: neither the sexually immoral, nor idolaters, nor adulterers, nor men who practice homosexuality, nor thieves, nor the greedy, nor drunkards, nor revilers, nor swindlers will inherit the kingdom of God.” 1 Corinthians 6:9-10 So all those, including the murderous in heart or in action also are going to face judgement unless they repent and the blood of Jesus is applied to them. The second individual who might laud this statement does so not out of an understanding of theological truth, but from the pits of hatred themselves. Because of the great and outstanding hatred that this person has for the white-supremacist, their disdain boils over into their thinking about God. Their hate, the hate of the one who agrees with my previous statement might be understood as sin to some, but in their minds it is a justifiable hate. So when a statement of God’s hatred for the radical Nazi shows up, they joyfully latch onto it not caring about the Biblical or practical implications of such a position. This person, the person that hates the white-supremacist is one who honestly believes that there is something different in them than in the Neo-Nazis. To believe that you are better than a radical hitler-loving, murderous fool, is to think of yourself more highly than you ought. For but by the grace of God, there go I, and there go you. The Christian onlooker to this disaster must––they must stand up and decry the awful and heinous act of these people inciting a racial storm. But the Christian also MUST NOT get caught up in the tornado of hate that will leave everything and everyone they love destroyed. Let us not believe that these foolish “white nationalists” / “white supremacist” are any worse off than us and our hearts. There are plenty of racially charged groups from the various “races”. (the term race should be understood as singular only considering that there is a human race and variations in the pigment of our skin.) Let me close this open letter with the definition from Merriam-Webster’s Online Dictionary of racism. “a belief that race is the primary determinant of human traits and capacities and that racial differences produce an inherent superiority of a particular race.” Racism is alive and well in our world. It is growing and morphing into what it once was in our country––a violent and deadly viper. God hates racism, and He hates those who worship at the altar of racial supremacy. God also hates those who hate for any other reason as well. 43 You have heard that it was said, ‘You shall love your neighbor and hate your enemy.’ 44 But I say to you, Love your enemies and pray for those who persecute you, 45 so that you may be sons of your Father who is in heaven. For he makes his sun rise on the evil and on the good, and sends rain on the just and on the unjust. 46 For if you love those who love you, what reward do you have? Do not even the tax collectors do the same? 47 And if you greet only your brothers,[i] what more are you doing than others? Do not even the Gentiles do the same? 48 You therefore must be perfect, as your heavenly Father is perfect.